This week Write About Now was graced by a visit from author Penny Zeller. Today, it is my pleasure to bring to you a review of her newest release, Kaydie, which is book #2 in the Montana Skies Series. Penny Zeller has created a book whose pages leap into life as the extremely credible characters are thrust into situations that no one should ever be forced to face. Kaydie, widowed and pregnant, takes refuge with her sister and brother-in-law following the death of her abusive husband. Kaydie has determined that she will never again be in a situation where she and her as-yet-unborn child will be in danger of being abused. Deciding that love and marriage are only for others, she vows to remain single and raise her child alone. Jonah Dickenson is a man who has vowed he will never marry. Deserted by his mother when he was just a small child and left with a bitter and drunken father, Jonah wants no part of a wife and family because he fears that he will turn out to be just like his father. As we journey through the pages of this book we see Kaydie grow from a meek and cowering girl to a strong and brave young woman. Jonah has grown from the days of a wild and reckless youth into a kind, considerate, and compassionate man. As Jonah and Kaydie are thrown together more and more often, feelings begin to grow between them. However, both of them are adamant that there will never be anything more than friendship between them. In spite of their dissimilarities, Kaydie and Jonah both share a love for God and gratitude for all that He has done for them. Throughout the pages of Kaydie, you will experience laughter, fear, tears, sorrow, and joy. You will meet the self-proclaimed matchmaker, Lucille Granger, who declares that she is going to find the perfect wife for Jonah. You will also meet Kaydie's mother, who insists on arranging a more appropriate marriage for Kaydie. It sometimes seems as if Jonah and Kaydie have little control over their lives and will be forced into marriages of convenience by well-meaning individuals. Since Kaydie is the second book in the series, there were several occasions when I found myself wishing that I had read book one first simply because I felt that some portions of the story that were revealed from book one will make it rather anticlimactic to read the first book, which I most definitely plan to do. However, there was nothing in the story that I could not understand and Kaydie can easily stand on its own. I thoroughly enjoyed reading Kaydie and now I am going to offer you an opportunity to read it also. I am certain that you will enjoy it and it gives me great pleasure to recommend it to you. For the chance to win this book, please leave a comment of encouragement for Penny. In addition, please become a follower of Write About Now and tell me in your comment that you are a follower for a second chance to win. Be certain to leave your email address in spam-proof format (name[at]provider[dot]com) so that I will be able to notify you if you are the lucky winner. If you do not leave an email address, I will be forced to select another name. As with all giveaways on this blog, this contest is open only to those who reside within the United States. The giveaway will run until April 29th and the winner will be chosen on April 30th. A copy of Kaydie was provided to me by the author in exchange for reviewing the book. All statements and opinions are my own and I was not obligated to provide a favorable review. You can purchase Kaydie and Penny's other books from the publisher, Whitaker House, Amazon, Christian Book Distributors, Barnes and Noble, or your favorite online or retail book store. Penny, Kaydie sounds like a book complete with challenges and lessons as well as love. As I will soon be celebrating a birthday, this book would make a great birthday present! Best of luck! Penny- Thanks for sharing your God-given talent with us through your fabulous books! God doesnt give you to much that you cant get thru it. We learn from things and grow . This book sounds like a wonderful read. I am really looking forward to reading Penny's books. I agree with those comments above. Penny, this does sound like a great story. Thank you so much for stopping by Jan Marie's blog and for leaving a comment. Nancye ~ Thank you for your sweet compliments about my books. It is great to see you here! Ann ~ I so agree with you. We serve an Awesome God! Jo ~ Thank you, Jo, for your kind comments about my books! JoAnn ~ Thank you, also for your kind compliments. I really appreciate your blessings! I am looking forward to reading this book and the whole series as they sound like something that would not only offer escape after a hard day, but also show God's glory in its finest. The cover of your book is very striking. I know a gal who was in an abusive relationship and I know I would enjoy this book. Good luck in all your endeavors. Hello, Everyone! Thanks so much for stopping by and thanks too for your encouraging remarks for this outstanding writer and beautiful friend. I welcome each of you - I know that some of you are faithful followers and, for some of you, this is your first visit. I hope you will all feel welcome here and come back often. I apologize for not being present here more these past few days. Unfortunately, I will be completely away from the computer for the next few days inasmuch as my mother-in-law died quite unexpectedly on Monday morning. We will be out of town for most of the time for the remainder of the week. Please keep the family, especially my husband, in your prayers. I will be back as soon as possible. In the meantime, make yourself at home - grab a cup of coffee (or your favorite beverage) and browse a while. Everyone says that this book is good! Carman sent me ~ she's so sweet! ;) This book sounds like an interesting read. I'd be thrilled to win this one. Thank you for the opportunity! I just wanted to let you know how sorry I was to hear about your mother-in-law. You, your husband, and your entire family are in my thoughts and prayers. 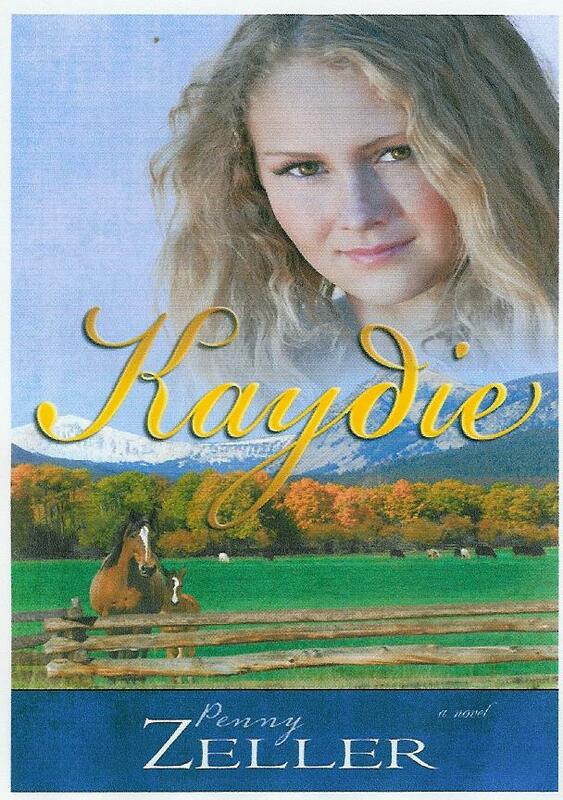 Thank you for stopping by Jan Marie's blog and leaving a comment for a chance to win a copy of Kaydie. I hope you both have a wonderful Easter weekend. You are such a sweetheart. Thank you for your kind comments about the cover. I am blessed to have a publisher who has a very talented graphics department. I am thankful that more awareness has been brought to this atrocity and, in writing Kaydie, I wanted to give hope to any woman in an abusive relationship. God does care and He is there to be a refuge – an ever-present help in times of trouble (Psalm 46:1). Thank you again for stopping by Rubynreba. Have a blessed Easter weekend. I hope you've had a wonderful week. Thank you for stopping by Jan Marie's blog and leaving a comment for a chance to win a copy of Kaydie. I agree with you about Carman and I'm thankful for her Christian Book Giveaways blog. It is such a great service. Thank you for your kind compliment about Kaydie. Oh wow, Faye! Thank you for that awesome compliment about the reviews you've heard about Kaydie. Thank you also for complimenting Jan Marie on her review. She blessed me so much with her words and I am honored to be a guest on her blog. Thank you for leaving a comment for a chance to win Kaydie. Have a Happy Easter Weekend. Love finding new Christian authors. Thanks for the opportunity to win your book. I hope you all had a blessed Easter weekend. Thank you for stopping by Jan Marie's blog. Apple Blossom ~ It's great to see you here! Thank you for leaving a comment for a chance to win Kaydie. Rachel ~ Thank you so much for your prayers, Rachel. It is such a blessing to know that you are upholding my family in prayer. God bless you! Sounds like a wonderful book! The struggles Kaydie must encounter are heartbreaking. Love to read the whole thing! Thank you for stopping by Jan Marie's blog and for your kind comments about my book! Book sounds great. Carmen sent me. Thank you, Ken and Sheila! I appreciate you stopping by and for your kind comment. I am a subscriber via email to this blog and a follower. Penny's books sound so interesting, I love the covers and the setting. Penny is also a wonderful caring person as well. Please enter me! Thanks so much to each one of you who has stopped by to visit, encourage Penny, and enter your name for the drawing. Penny, it has been a real pleasure to have you join me here these past two weeks. You are a very gifted writer and I appreciate your using your ability to glorify God and bring the message to others. May God continue to bless your writing. I look forward to reading many more books from you!